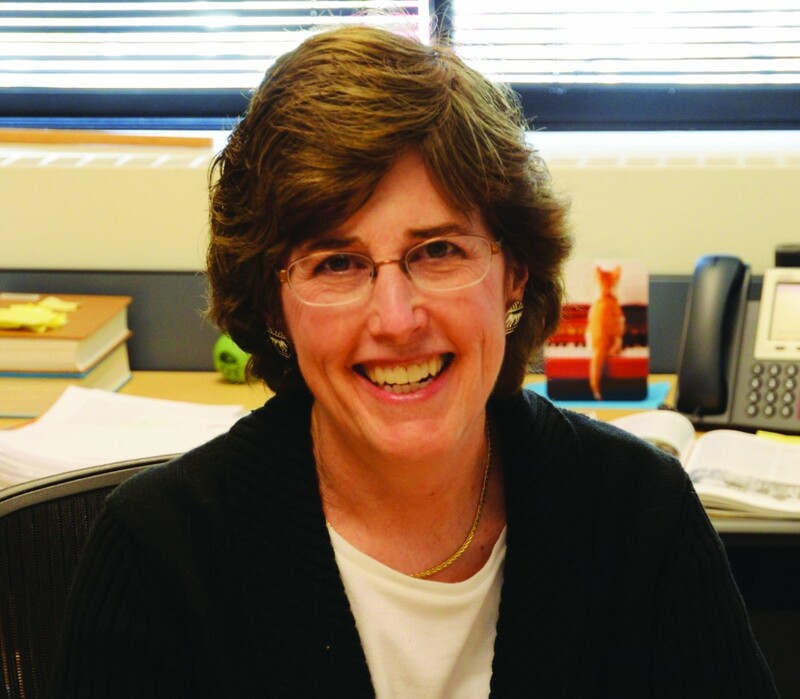 Docherty plans to retire at the end of this year after 27 years of teaching at Bowdoin. Docherty was not always going to be an art history professor. She started out with a degree in economics, keeping in mind the practicality of the major. Her interest in art history, however, proved irrepressible. Docherty’s chief scholarly focus is American art. A self-proclaimed “retread,” Docherty said it took her a little while to find her niche in the art history discipline as well, and that she actually had more background in other genres when she realized the possibilities that American art could afford her. She said that this access to context was part of what brought her to Bowdoin. “Bowdoin is a great place to come for American art because of the museum,” said Docherty. However, she added that what truly drew her to the College were the students. After all these years, Docherty maintained that the students remain her favorite aspect of Bowdoin. When asked if she had a favorite course that she had taught, Docherty responded promptly. At office hours, Docherty’s friendship with her students was evident as students dropped by her office to hand in papers. She had a lighthearted personal interaction with each of them, whether it was to ask about the lacrosse game over the weekend or to commend a student on her creative insights in a journal entry. Despite her ease of communication with students, Docherty said she has never thought of herself as a gifted public speaker. “I just love being in the classroom with the students, but I’m not really a performer,” she said. Her Uncommon Hour talk, in which her comments regularly incited gales of laughter from the audience, suggested otherwise. Docherty said she has also felt a strong connection to her colleagues throughout her time here. Associate Professor of Art History Pamela Fletcher ’89 remembers this first meeting well. Professor of Art History Susan Wegner has an even longer history with Docherty. Even though Docherty is retiring, she said she has no intention of abandoning the Bowdoin community any time soon. She will continue to hold an office in the department a little while longer, and plans to audit some classes in the future. And then there’s the campus itself, to which Docherty said she has always felt a strong connection, and, living only a block away, she plans on continuously enjoying it. Her colleagues, in turn, said that the College just won’t be the same when Docherty leaves. -Michelle Hong contributed to this report.